They've been in use since 1900, when the Paris Metro opened for business, but soon the city's familiar rectangular tickets will become a thing of the past, replaced by a fully automated system similar to the one in London. For many tourists, the little white tickets -- often purchased in a 'carnet' of 10 -- are inseparable from a visit to the city. They're frequently found years later tucked between the pages of a book, in the back of wallet or under a sofa. But they are also easy to lose, often end up littering the pavements, where they take up to a year to decompose, and the magnetic strip on the back tends to fail over time, meaning the tickets, 550 million of which are sold each year, don't work. As a result Ile-de-France Mobilites (IDFM), the organisation that coordinates the transport networks in Paris and its surrounding region, voted on Wednesday to move ahead with the process of automating the system by 2021. "We're going to gradually phase out the use of the metro ticket," said Valerie Pecresse, president of the IDFM and head of the region that includes Paris. While many commuters already use a weekly, monthly or annual electronic card called the Navigo to get around, similar to London's Oyster card, IDFM is introducing two more options designed to appeal to tourists and occasional travellers. 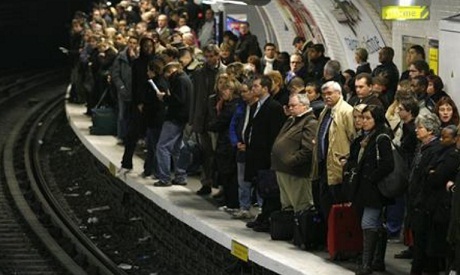 The metro is the 10th busiest subway system in the world, handling around 1.5 billion passengers a year. But when it comes to technology, it lags behind the likes of London and Tokyo, and the little tickets are one of the main problems. "Five percent of metro tickets get demagnetized and stop working, frustrating customers," said IDFM spokesman Sebastien Mabille. "The new passes will effectively solve this problem." The new passes will be introduced in April and October next year, allowing plenty of time for the metro, and its interconnected bus and commuter rail network, to become fully digital before the Paris Olympics in 2024.